As a new business owner, you will face a number of legal issues, including licenses and permits, zoning, name and trademark registration, and others. You should consult an attorney with experience in business planning and these areas in order to protect your legal rights. 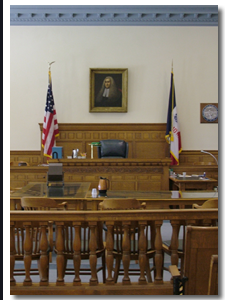 Contact an Iowa corporate / business lawyer representing clients in Forest City, Iowa today to schedule your initial consultation. When naming your business, you should first see whether the name is legally available. Your state’s secretary of state can inform you whether the name you’ve chosen for your business is taken. Often, this information is readily available from the secretary of state’s website. You can also find contact information for these companies. You should also determine if your name conflicts with a registered trademark, by visiting the federal Patent and Trademark Office’s website at www.uspto.gov. You may require a license or permit to operate your business, depending on what your business is and where your business is located. You should carefully research all regulations and laws governing your business; your state and local governments (and your local Chamber of Commerce) can help you find the requirements you need to fulfill. You may be required to pay ongoing fees, update fees, or to complete regular testing for some business activities. Many jurisdictions require businesses to publicly post their licenses and permits. Many city and county governments also enforce zoning regulations. Government zoning classifies land into different zones, with separate rules regarding land use, the size and height of allowed structures, and many other aspects of ownership. Zoning is part of a state’s “police power”, which allows states and local governments to regulate land use for the benefit of the public. It is a good idea to understand zoning restrictions in your area before purchasing land or starting up a business. Given the amount of legal preparation involved in starting a business, and the consequences of failing to do so, you should contact a lawyer for help with business planning and land use matters.